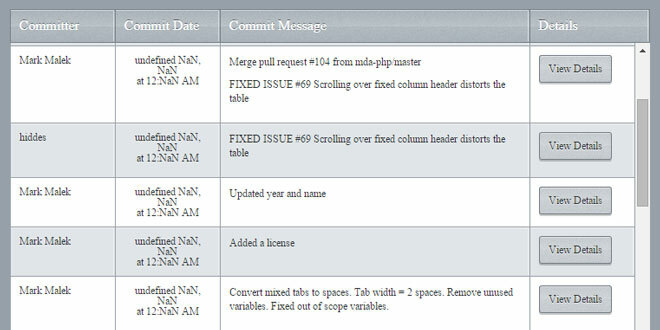 Fixed Header Table in its simplest form displays a fixed header for any valid table mark-up. 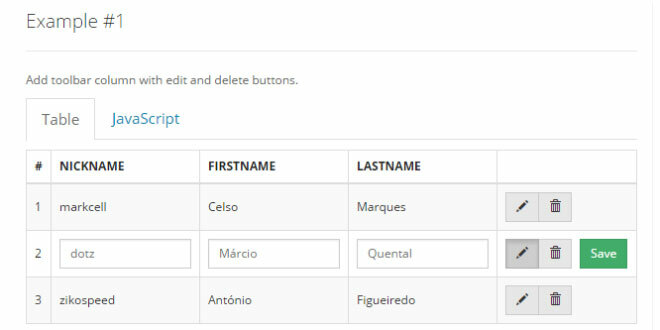 This is an active jQuery plugin project so expect new features and improvements to be released. Current browser support includes Internet explorer 6-9, Chrome, Firefox, and Safari. The specified class name will be added to odd rows (tr) for theming. When autoShow is false the table will be hidden automatically when fixedHeaderTable is called. The table will remain hidden until .fixedHeaderTable('show') is called on it. 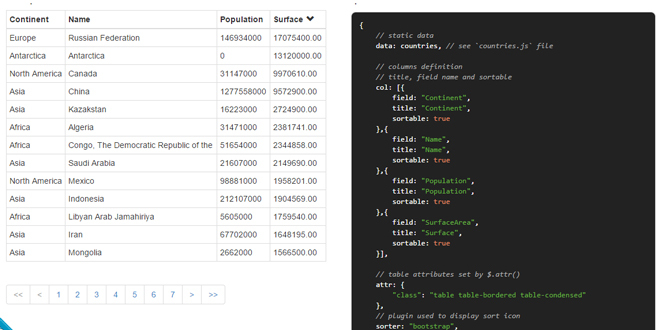 When cloneHeadToFoot is true the table header will be cloned and used as the table footer. When fixedColumn is true the first column will be fixed if the table scrolls horizontally. When footer is true the TFOOT of the table will be used as a fixed footer. A TFOOT must be included in the table mark-up. When height is set the table thead, tbody, and optional tfoot will be equal to the height value. Height is in pixels. 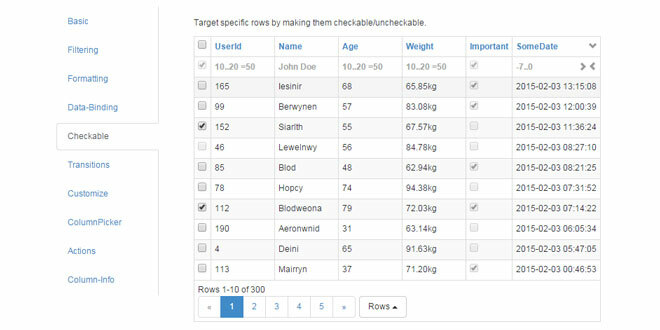 When width is set the table width will be equal to the width value. Width is in pixels. The specified class name will be added to the table for theming. Remove the fixedHeaderTable functionality completely. This will return the element back to its pre-init state. This event is triggered when .fixedHeaderTable is created.